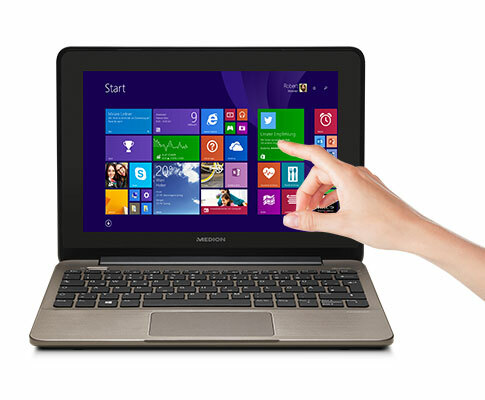 Like most Medion products, the $399 price tag for this tiny laptop is as competitive as it gets considering what you get, and it includes a licence for the full version of Microsoft Office Home & Student 2013. Its performance and the keyboard layout are the only issues that are of concern, though if you don’t have plans on running heavy tasks on it, it will be fine, and you can get around the keyboard issue with third-party remapping software. 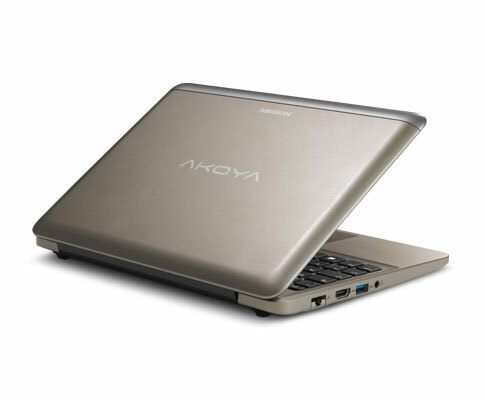 The budget Medion Akoya E1232T – MD99410 might just be the perfect notebook for those looking to keep a tight budget while performing everyday tasks. The 10.1 inch HD IPS Advance Hyper Viewing Angle is impressive and it comes with touch screen support that perfectly makes use of the Windows 8.1 experience. Inside there is an Intel Celeron Processor N2807 dual-core clocked at 1.58 GHz and an Intel HD Graphics. 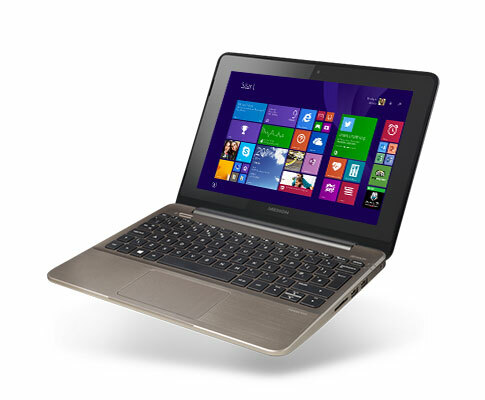 Together with the 4 GB RAM and 500 GB hard disk storage, this notebook will satisfy the basic user. The elegant and lightweight notebook has good quality audio in the form of 2 speakers with Dolby Advance Audio technology. 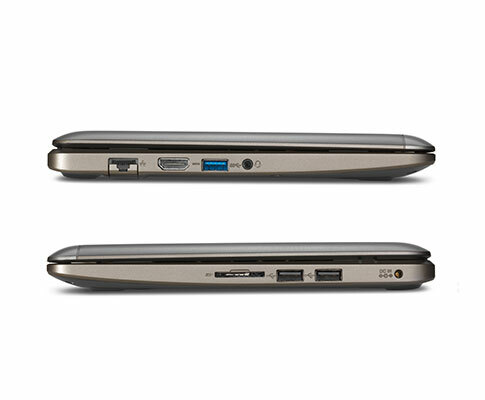 Other features include the multi-format card reader, USB 3.0 technology, HDMI output, Bluetooth 4.0, and 802.11 ac Wi-Fi. The 2-cell Li-Polymer battery is sufficient to keep it on the go. There is a plethora of Software suites, from photo editing capabilities to media entertainment included with purchase and this can prove useful for some users. N2807: Soc with an integrated dual core Atom processor clocked at 1.6 - 2.2 GHz and an Intel HD Graphics GPU.» Further information can be found in our Comparison of Mobile Processsors.